Guess what? I went for a 6K run this morning! 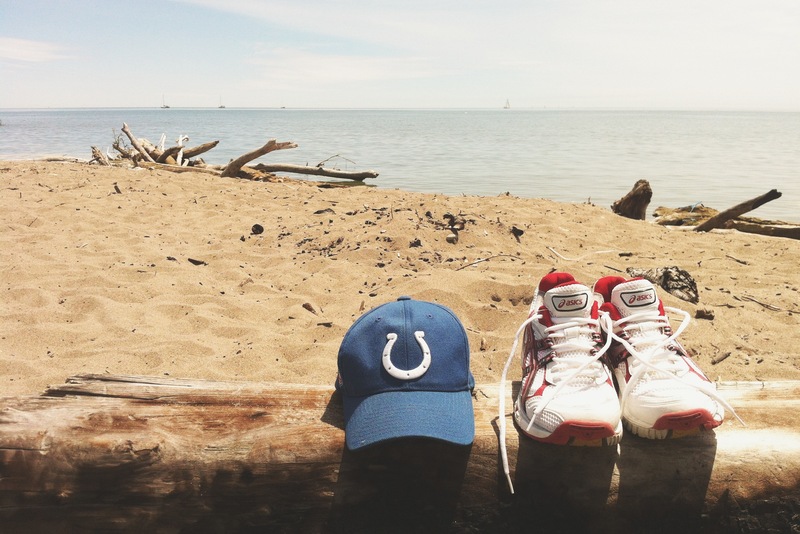 It felt good to get outside and be active on the first official day of SUMMMAAAHH! Speaking of which, my summer goals are going swimmingly, but we’re not talking about that today (although look for an update soon – you’re going to be so proud). 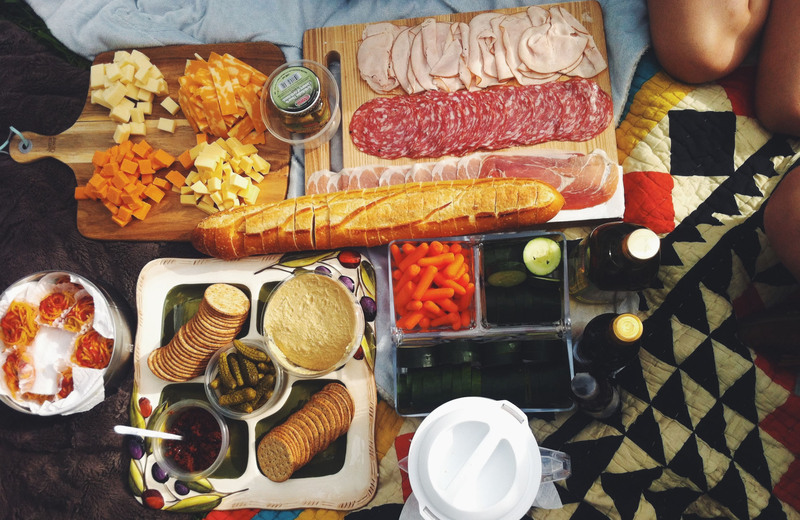 Recently went to Trinity Bellwoods and had a romantic picnic with the Lotus Leaf crew. We hung out, played Cards Against Humanity and drank pitchers of yummy sangria. The perfect post-work activity. Thanks again Tori for setting all this up for us! Earlier this week I collaborated with online shopping site “BRIKA” and DIY/lifestyle blog “My Little Secrets” to film a fun how-to video! If you’re someone who loves making super cute jewellery for the summer season, you won’t want to miss out on this one. I am editing now and hopefully it will be posted on the blog next week! 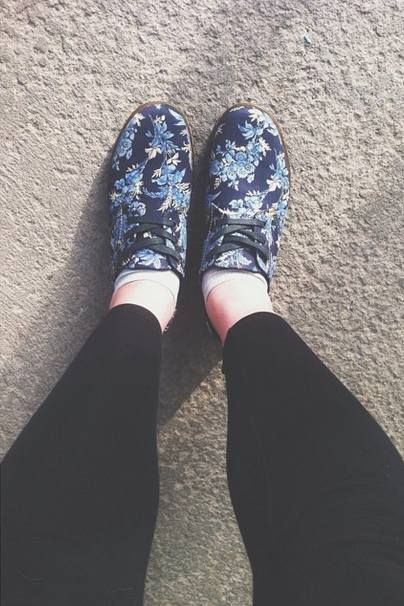 Below are my snazzy Dr. Martens sneakers. They’re wonderful and comfy. Alright, now for some big news. The reason I ran 6K this morning was because I’ve started training for my FIRST half-marathon in October! To be honest, I ran 4.5K without stopping then walked the rest because the heat was starting to beam down hard. The whole idea of a half-marathon sounds incredibly intimidating, but I’m motivating myself to believe that in a few months it will be a piece of cake to run 22K. It’s something I’ve always wanted to accomplish but never got around to planning. UNTIL NOW! Yay! I think marathons are a great way to stay in shape, meet amazing people and be able to travel different places. In the next few years, Boston Marathon anyone? Marathon de Paris? Perhaps. One day. Along with my new workout routine, I’m going to be even more cautious of my diet and making sure I eat as healthily as possible. Although, cheat days are and always will be acceptable. That is all for now. Have a great rest of the weekend and talk to you soon! Good for you! I’ve started ramping up on my running too- my first half marathon is in October as well in Leavenworth Washington 🙂 Where is yours? I’m not sure I have any advice for you as we seem to be in the same boat 😛 But I know a book that really inspired me to get running again was “Born to Run.” Have you heard of it? Also I’ve started running without my music and just tried to focus on my breath and nature around me 🙂 Good luck! Let me know if you want to run sometime! (a) There is only one sensation better than a runner’s high … but propriety requires that I leave it to you to guess what that other one is. (b) Runner’s high will make you feel like you can go further, faster. Which is why you need to decide your pace and distance for each practice BEFORE you head out. Then stick with those goals as you run. Otherwise you risk pushing yourself too hard and doing something stupid that will sideline you from further training. (c) You may very well want to run the whole 22K in one long stretch, or with only a few breaks. That’s a sure way to blow out your knees over time. Better to follow the Running Room practice of running for 9 minutes, walking for a minute, running for 9, walking for 1, etc. (d) Practice running up and down hills. That really builds endurance. (e) Practice sprints. That’ll help your speed. (f) Eat/drink protein immediately after each run, especially as the distances get longer. Don’t wait past 30 minutes … otherwise you’ll never get over feeling hungry. (g) Pursue this goal now. Don’t wait like I did, to run two in one year at age 51. I loved it. Runners are the kindest people, very supportive, and very light hearted. Previous PostIT SMELLS LIKE SUMMER!